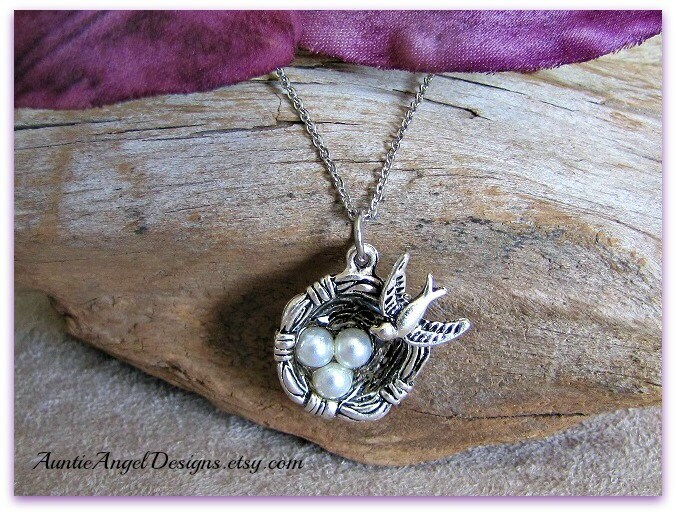 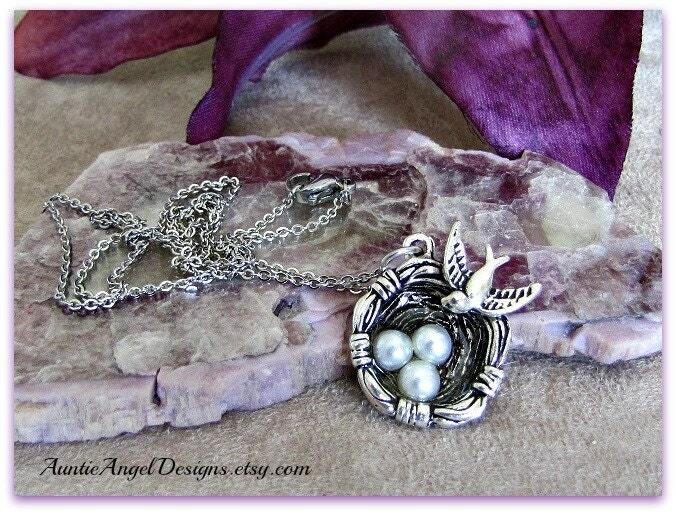 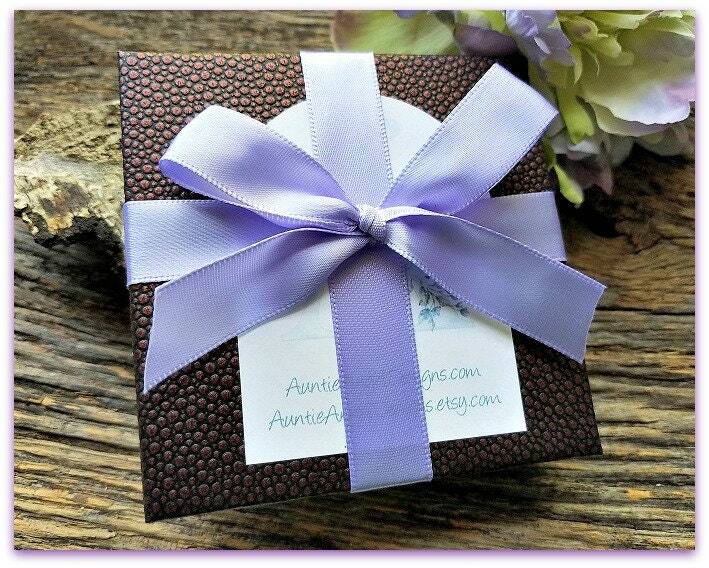 Auntie Angel Designs' Psalm 91:4 necklace is crafted of a stunning birds nest charm with three white pearl-like beads set in zinc alloy metal, which is lead and nickel free. 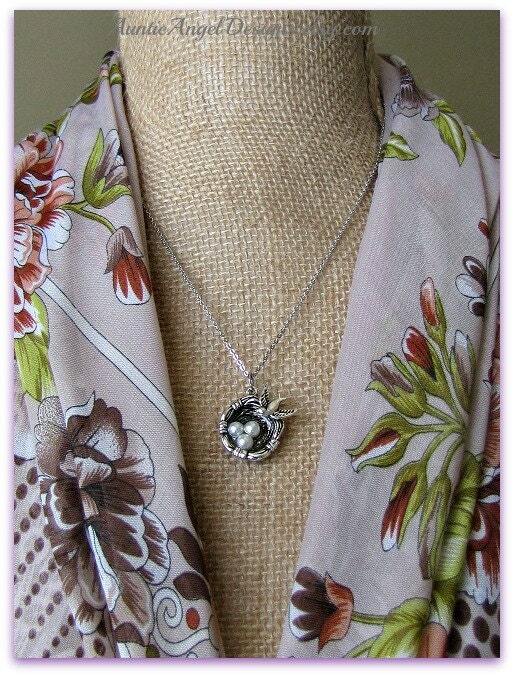 This sweet charm measures about the size of a quarter and is strung on an 18" stainless steel chain. 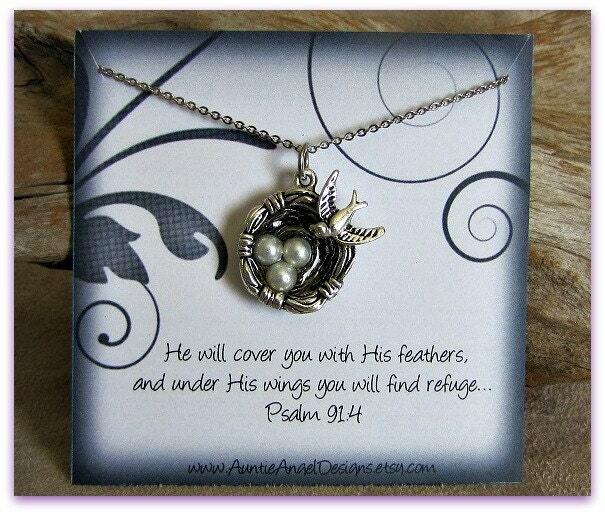 The Psalm 91:4 necklace comes beautifully gift-boxed with ribbon and is ready for gift giving.